It’s that time of year where everyone around you is embarking on a journey to Europe. My time was two years ago and one of my favourite memories was ordering Nutella Crepes after a very long night out in Mykonos in the local village. Walking on the white cobbled stones through the town full of excited youths at 7am to find an ice cream shop serving crepes wasn’t a difficult task to say the least. 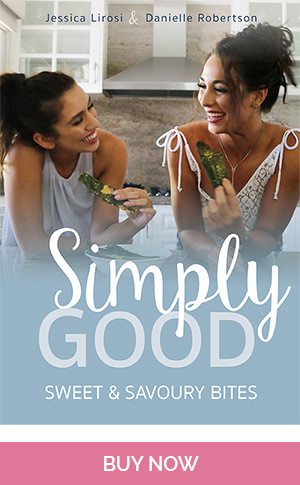 Since I’m unfortunately staying put this European summer (or should I say, Melbournian winter) I thought it would be a great idea to recreate my go-to meal in a clean version for old time’s sake. Process oats well until oat flour is formed. Add almond milk and egg to flour and blend together or mix well. Spray pan with coconut oil and pan fry each side of the crepes evenly; the sides of the crepe will begin to rise when ready to be flipped. 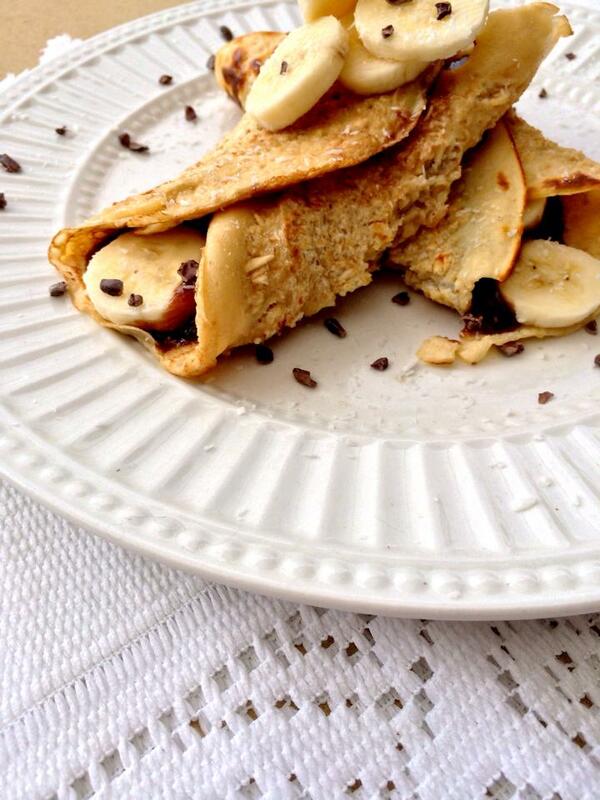 Set crepes aside while you prepare Nutella. 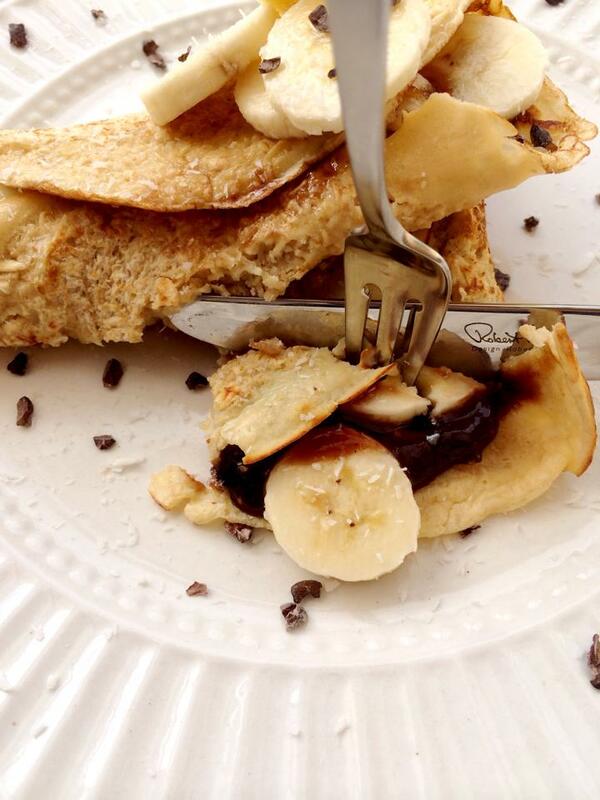 In a pot, melt coconut oil and stir through dates, water, rice malt syrup, hazelnut spread and 2 teaspoons of cacao. While the dates heat up begin crushing them with a spoon or potato masher until smooth. Add water if mixture is too thick. 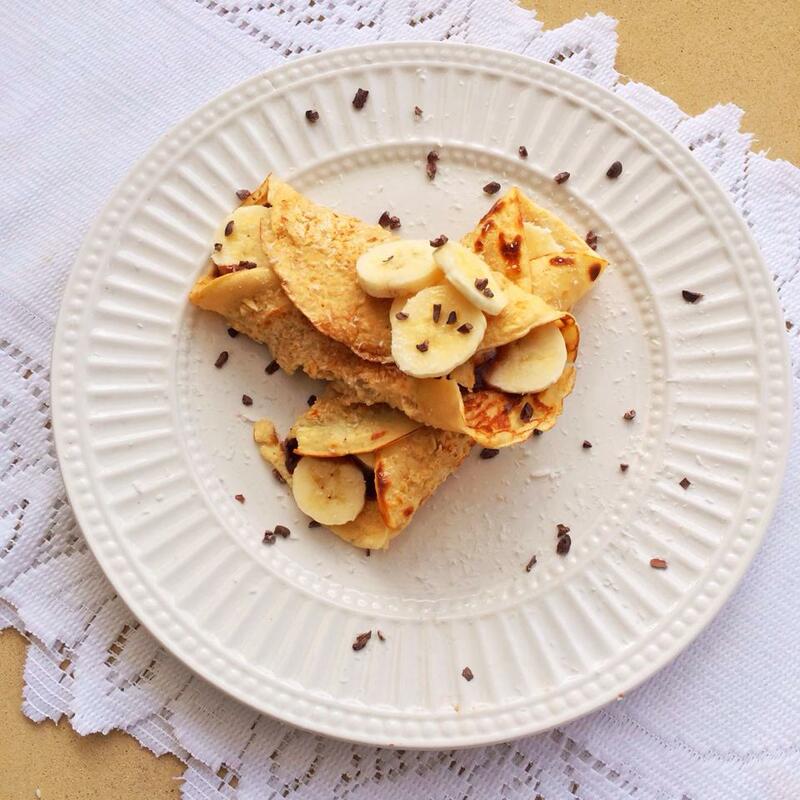 Pour Nutella in the centre of the flat crepes and top with chopped banana. 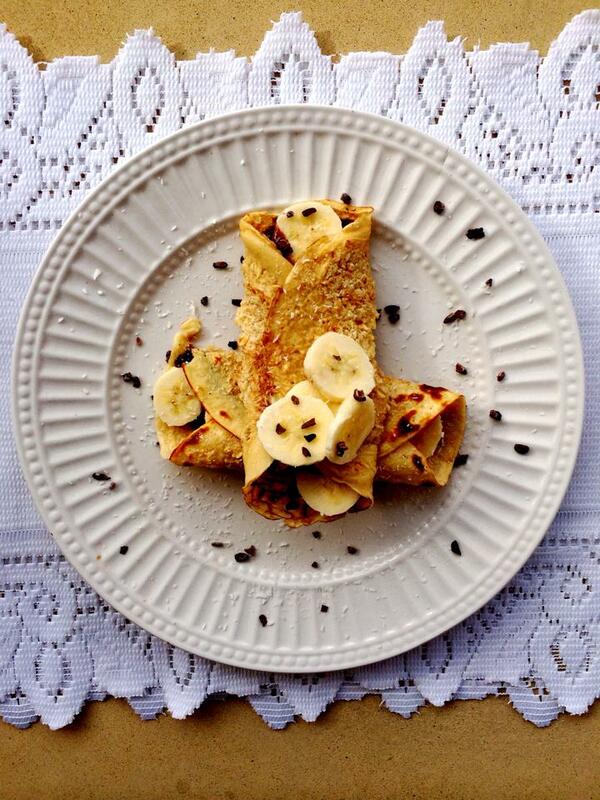 Fold over both sides of the crepe and sprinkle coconut and cacao nibs on top for decoration and enjoy!